Image by © Wally McNamee/CORBIS. Whenever I express optimism about the incremental improvements in Israel’s relations with the Arab world, I always get the same question: How can I be optimistic about relations with countries whose populations overwhelmingly loathe Israel and are often anti-Semitic to boot; whose governments actively propagate such sentiments through school curricula and state-run media, while working against Israel in every possible international forum? My answer is that none of that is new. What’s new is the growing number of people in the Arab world willing to publicly challenge these attitudes. Indeed, in recent weeks, scarcely a day has passed without another example. Perhaps the most remarkable was an offshoot of last weekend’s Egyptian-Saudi deal under which Egypt will transfer two Red Sea islands to Saudi Arabia. Those islands can effectively blockade access to Israel’s port of Eilat, and one such blockade was the proximate cause of the 1967 Six-Day War, during which Israel captured them. 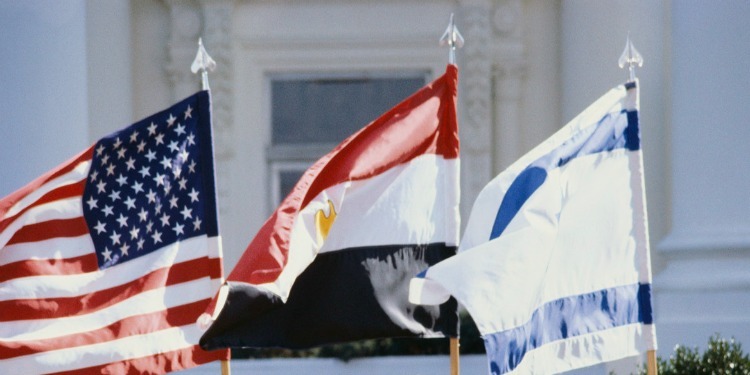 The 1979 Egyptian-Israeli peace treaty returned them to Egypt in exchange for a promise of Israeli freedom of navigation in the Red Sea – a promise threatened by the islands’ move to Saudi control, and consequently, a change in the peace treaty that required Israel’s consent. That’s a stunning shift for a country once so opposed to the treaty that it severed relations with Egypt for daring to sign it, and which still has no diplomatic relations with Israel itself: Saudi Arabia just formally committed itself to a peace treaty with a state it officially doesn’t recognize. Further evidence of the thawing relationship came last month, when a major state-owned Egyptian bank for the first time published the official exchange rate between the Egyptian pound and the Israeli shekel. Clearly, every such move toward normalization provokes a backlash, and it’s not surprising that the backlash sometimes works. Last month, for instance, a Dubai security chief made waves by launching a Twitter campaign for friendly relations with Israel, inter alia, calling for “a coalition with the Jews against the enemies of the Middle East” and urging his followers “not to treat Jews as enemies, rather as cousins with conflict over land inheritance.” But he soon reverted to the standard Arab diet of anti-Semitic and anti-Israel tweets. Obviously, all of the above are just the first baby steps on a very long road; it will take decades, if not generations, for these views to spread to the broader Arab public. But for most of the seven decades since Israel’s establishment, there has been no movement at all toward reshaping public attitudes; even major events like the peace treaties with Egypt and Jordan were strictly government-to-government, and entailed no effort to change popular perceptions of Israel as a loathed enemy. The Egyptian textbooks’ treatment of the treaty is a perfect example; so, too, is the fact that for decades after the treaty was signed, Egypt’s military continued to train primarily for war with Israel. Thus the fact that these attitudes are finally being challenged by Arabs themselves is of real significance. It won’t lead to any practical change in Arab-Israeli relations for a long time to come. But it’s a necessary first step toward such a change, and as such, constitutes genuine grounds for optimism.